If a vasectomy reversal is successful, then it can lead to natural conception which, for most couples, is very desirable, cost effective and fun! It requires only one procedure be done and then most people are on their way. The negatives of a reversal are, first of all, there are no Medicare rebates for this procedure and therefore the total cost may be more than a single IVF-ICSI cycle. In addition, a vasectomy reversal doesn’t always work. Some men don’t want to have a reversal and it may take a fair amount of time to conceive after a reversal. The average time to pregnancy following a reversal is about 12 months, so the age of your partner will also affect the choice you make. If your partner is 35 years or older, IVF may be a better option. IVF usually offers the quickest way to achieve a pregnancy in a given month, but like a vasectomy reversal, it doesn’t always work. As a matter of fact most couples will have to go through more than one IVF cycle to deliver a baby. Remember that pregnancy rates don’t mean a live baby. A pregnancy rate refers to a cycle that results in a positive pregnancy test. So, IVF is an excellent alternative if a vasectomy reversal has failed or if there is female factor infertility combined with a male factor problem. Sometimes the original vasectomy procedure has been performed in such a way that it may be difficult or impossible to reverse, and therefore, IVF is the only option. The possibility of a successful reversal can sometimes be determined by the urologist at the time of an initial consultation and examination. 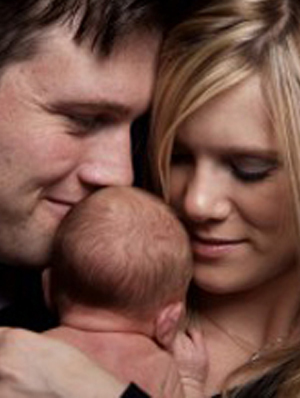 To learn more about vasectomy vs. IVF, please call us on 1300 337 845 (1300 FERTILITY). You may also be interested in reading about our Surgical Sperm Retrieval procedure.